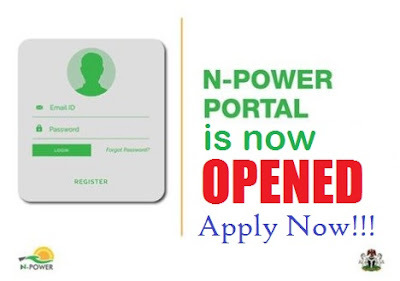 Npower 2017 Recruitment: We all know that the Npower portal will be opened for registration of new accounts for people especially unemployed youth and graduates that has no employment. The portal is to open by 11:30pm Tuesday and is to close at an undisclosed date. N-Power volunteers will provide teaching, instructional, and advisory solutions in 4 key areas this June/July section. they are the Agro, Vaids, Build and Tech only. Others will follow in the second batch of the year. This 2017, the Federal Government has decided to enlist about 300,000 applicants to benefit from the proogramme. Please note that The June 2017 Application is only open to the Graduate Category- the N-Power Volunteer Corps. The specific date for the closure of the npower website has not been stated by the Federal Government. All we know is that the re-opening date is 13th June 2017 at about 11:30pm. If you have forgotten your Npower username or password, simply follow the procedures found here. For those who does not understand what Npower does, know now that N-Power Volunteer Corps is the post-tertiary engagement initiative for Nigerians between 18 and 35 years of age. It is a paid volunteering programme of a 3months to 2-year duration category. Npower official website states that graduates category will undertake their primary tasks in identified public services within their proximate communities. See What others are Reading Now!! !